Probably the most important contact that you can have on your phone is your local electrician. When you know that you need something taken care of, or an emergency arises, you need to already know who to call on. This is not the moment that you want to take a gamble and just call the first company name that you come across. Do your research and you will come to the same logical conclusion that other locals have – Orr Electrical. Something is off and you need to locate the problem to be able to address it. From flickering lights to elevated electrical bills to something just seeming off, don’t take chances when it comes to your electrical wiring. One of the best, and industry required, methods of protection against shock and electrocution are GFCI Electrical Outlets. If you are in need of installation or repairs for this, just get in touch with us. Having your wiring in tip top shape is all part of keeping your home safe and secure. 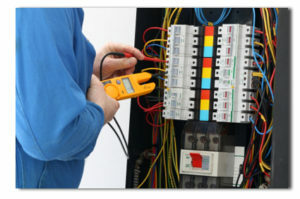 So, for the best in electrical repairs, give our team of pros here at Orr Electric a call. We care as much about providing a safe home for you and your loved ones, as you do. The bottom line is that we treat you the way that we would want to be treated and that is what makes all of the difference.